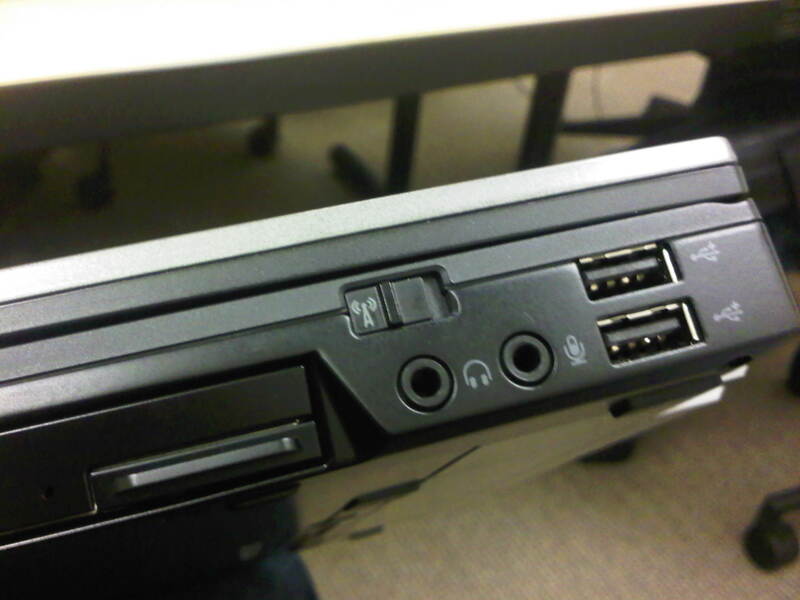 You would think the design department at Dell would do user testing and find this blog by doing regular searches on their brand, but I guess not, as their new computers still cary the wireless switch on the side of the laptop, hidden from user attention. THANK you!!!! I have exactly the same problem this morning with my work labtop. Chicken or the egg… telecom huh?! You’ll notice when the blue wireless keyboard light turns off (upper left of keyboard). You can also tell when the wireless switch indicates the “off position” by using a red switch place setting (e.g. push switch back toward the rear of the machine or to the right and to the left of this switch button an indicator will appear in red). I work with the IT Helpdesk for a pretty large organization. I almost had gave up while on a call where the user was unable to connect to the wireless network and the user was about to have a conference. I tries everything but to no avail, and the landed on this page. Voilla!! the user got the wireless network!! This is also my problem, luckily i spotted this post. I almost got disappointed with this laptop. Thank you for providing us this post. You’re such a big help! thanks! I work for a global technology company and I am another one that felt like an stupid looking for this button. Thanks!